Get Rid of SIDS Project had its charity status revoked by the Australian Charities and Not-for-profits Commission on 1 April 2015. The Get Rid of SIDS Project is strongly connected to the anti-vaccination movement. 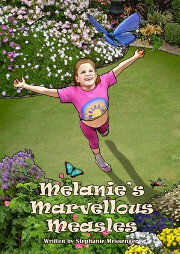 It was the major organiser of an Australian anti-vaccination seminar tour featuring Dr Sherri Tenpenny (USA). Talks about SIDS on behalf of this charity usually include an anti-vaccination talk. People interested in SIDS would have no choice but to be presented with false and misleading information about vaccination, including promotion and advertising for the talks. Note: this page was fully revised 21 January 2015. Get Rid of SIDS Project Inc.
Australian Charities and Not-for-profits Commission (ACNC). Get Rid of SIDS Project - registration . Is no longer a registered charity; its charity status was revoked 1 April 2015. Refer ACNC Media Release - 'Get Rid of SIDS' charity status revoked . It was endorsed as a Deductible Gift Recipient (DGR), meaning that donations were tax-deductible, until its charity status was revoked 1 April 2015. Regular seminars on sudden infant death syndrome are held by Stephanie Messenger in conjunction with her anti-vaccination talks. Get Rid of SIDS Project Inc. is also involved with Messenger's anti-vaccination projects "Healthy Lifestyles Naturally" and "Vaccination Awareness & Information Service". 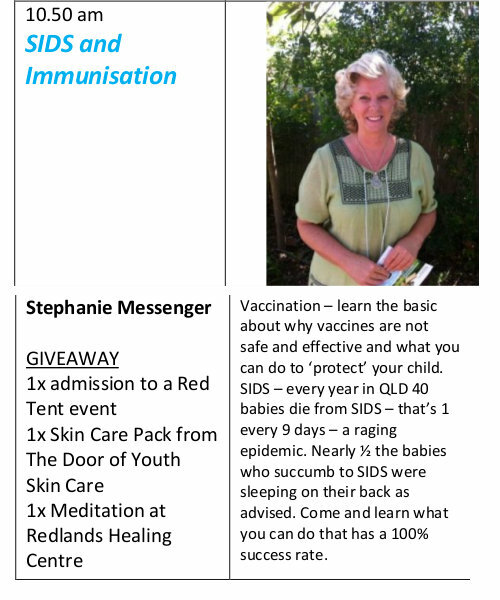 Excerpts from leaflet advertising a SIDS & anti-vaccination talk by Stephanie Messenger, 2013. Excerpt from leaflet advertising a SIDS & anti-vaccination talk by Stephanie Messenger, 2012. Excerpt from leaflet advertising a SIDS & anti-vaccination talk by Stephanie Messenger, 2011.